Do you have low expektations? Are you annoyed by tings like logic and quality? Are you a cretin? 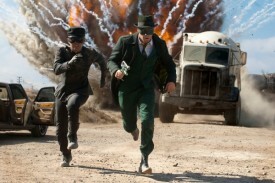 If you answered yes to any of dese questions, den you may enjoy The Green Hornet. Cool, no? No. Not really. Movie open on Russian gangster who visit club owned by rival. There, he make rival an offer he can’t refuse. Rival refuse it anyway, so Russian pull out carefully concealed weapon – a big, clunky twin-barreled gun. How possible for him to sneak it inside? It not make any sense! Russian kill bodyguards, make another offer, den get up and leave. As he leaving, rival notice he forgot his briefcase and say: “Hey, you forgot your briefcase!”. Seconds later – literally, dats all de time it takes for Russian to get out de office, thru de club, and out de front door – briefcase explode. It not make any sense!! We cut to Chateau Versailles where we introduced to multi-millionaire douchebag father and his multi-millionaire douchebag son. Britt. Father is unhappy wit son’s lifestyle. He unhappier still when he supposedly get stung by bee, have allergic reaction and die. Britt take over de family business and fire entire house staff – except guy named Kato because he know which buttons to push to make great coffee. Also, Kato be a terrifik mechanic who, for some reason, tricked out Britt’s dad’s car wit all sorts of James Bond gadgetry. Why? It not make any sense!!! One night, Britt and Kato dress up in disguise and take head off father’s memorial statue. Dey also end up stopping gang of muggers. Well, Kato stop dem. Britt just try his best not to get in de way. It not make any – shhhhhhhh. Disguised Britt and Kato caught on security camera defacing father’s statue. 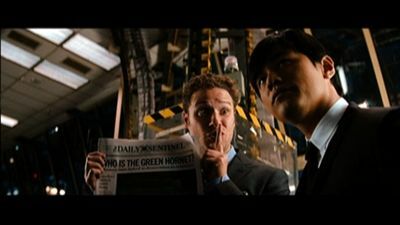 Britt inherit father’s newspaper and insist it publish headline story on mysterious criminal defacers, one of which he name Green Hornet. Soon, everyone very interested in Green Hornet. De media, citizens, even de Russian gangster. But why? Why de heck everyone suddenly interested in some guy just because he took de head off a statue? Why powerful Russian gangster is worried about being upstaged by a costumed vandal? IT NOT MAKE ANY SENSE! 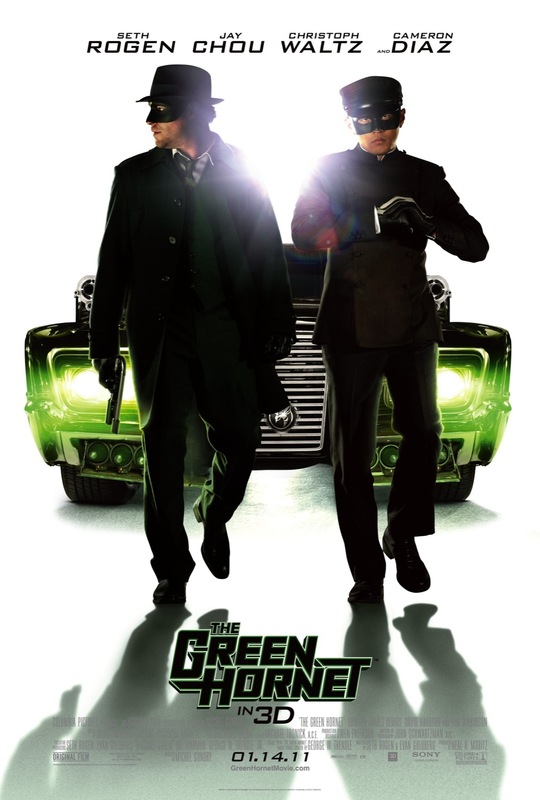 Green Hornet and Kato in…De Case of de Missing Plot. In order to decide next course of aktion, Britt have to hire self-proclaimed “criminal expert” temp to tell him what Green Hornet will do next. Using her “expert insight”, he follow her predikted pattern: beating up criminals and generally causing trouble for Russian gangster. Why Britt need to hire some temp to tell him what to do? IT NOT MAKE ANY SENSE!! Faster den a speeding truck. Russian try to kill Green Hornet and Kato – but dey eskape. Den have a falling out because Britt tink Kato dating temp. Den Kato tink Britt dating temp. Ho hum. Kato accept Russian’s offer to kill Green Hornet and get de drop on Britt (after completely implausible flashback sekwence in which Britt piece together complikated backstory for benefit of confused viewer. It not make any sense by de way) – but it turn out he have no intention of killing him after all. 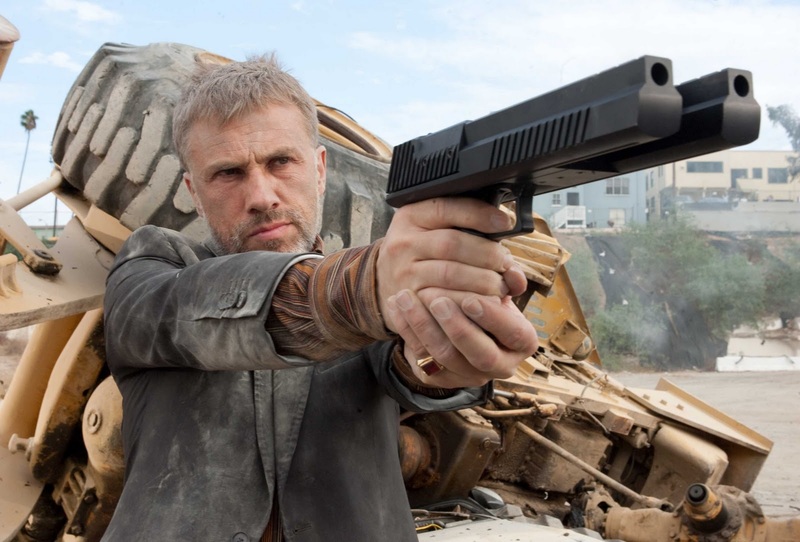 In de end, it not really matter because, for some reason, Russian gangsters and his thugs start shooting up de place before Kato can go thru wit it. Why? IT NOT MAKE ANY FREAKIN’ SENSE! Shoot out! Car chase! Fights! Entire floor of newspaper building destroyed but newspaper staff unaware dere be anyting going on until a half a car drive out of de elevator. IT NOT MAKE ANY FREAKIN’ SENSE!! Bad guys killed. Britt, dressed up as Green Hornet, get shot in shoulder and eskape. But he unable to go to hospital because den police will know HE de Green Hornet. So he and Kato and temp come up wit brilliant plan: De next day, Britt give public speech – and interrupted by Kato who fake shoot him in de shoulder and drive away. Presumably, hospital staff won’t know difference between fresh and day-old gunshot wound and everyting a-okay. Britt and Kato put head back on statue, restoring dignity to father’s legacy. Sadly, same can’t be said for Green Hornet franchise. Verdikt: Seriously! It makes no sense!